or is that the stained gel after transfer? 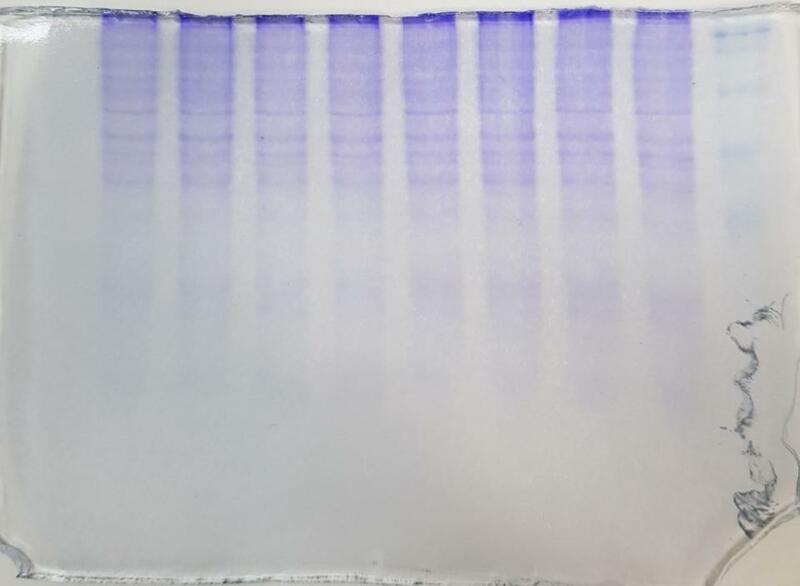 So this is a Coomassie stain, not a blot...Well, something went wrong with your electrophoresis, but since you haven't told us what you did, or whether this is a new problem, or the first gel you've ever run, we can't even guess how to help. Have you run these gels successfully before? If so, what did you do differently? My wild guess is a buffer or gel formulation problem. Actually I am new in this experiment. 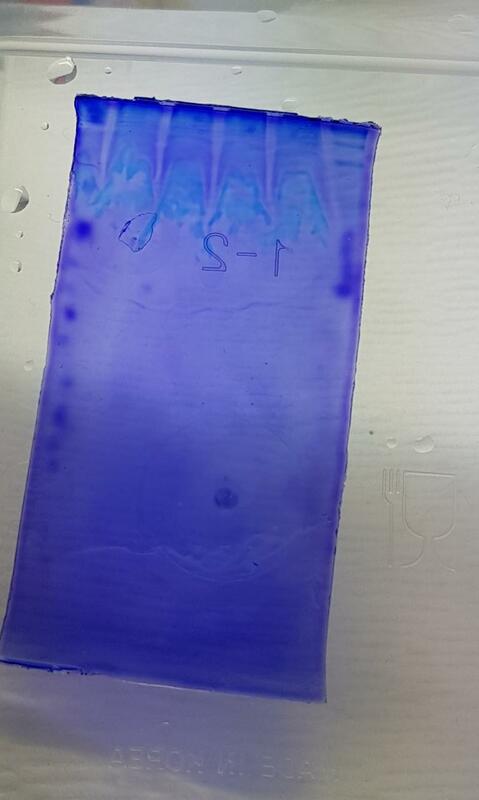 this photo is stained gel after loading the protein. I did in 20% gel with an old buffer that It was prepared 6 month ago. So yesterday I tried again with 15% gel with new protein extraction and new buffer the stained gel looked better for me. I just want to updated the result for you. Thank you for your helping again. Edited by Vui, 12 November 2018 - 05:56 PM.